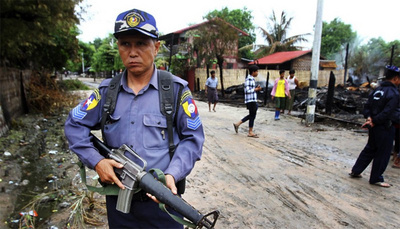 A few weeks ago, the Myanmar Police Force announced a plan to recruit and arm ethnic Rakhine and other non-Muslim civilians in restive Maungdaw Township, a predominantly Muslim township in Buddhist-majority Rakhine State. The township has recently witnessed widespread abuse of human rights against the minority Rohingya and other Muslims by the police and military forces. Weeks earlier, military moved into the territory to flush out the attackers – reportedly Rohingyas - who had raided 3 police posts.